“The Genesis Programme is a consortium of some 50 Partner Organisations and will deliver The Incredible Years suite of programmes to children, families and communities in Dundalk and Drogheda. The Incredible Years is a series of interlocking, evidence-based programmes for children, their parents and their teachers, supported by over 30 years of research. The goal is to prevent and treat young children’s behavioural problems and promote their social, emotional and academic competence. The programme was developed in the University of Washington in Seattle by Dr. Carolyn Webster-Stratton. Whilst each programme has been designed as a stand-alone intervention, taken together, they provide a cohesive and uniform strategy to address and eliminate behavioural difficulties in children. The launch event also contained a series of interactive workshops which showcased a number of the different strands of The Incredible Years suite of programmes that are being delivered as part of The Genesis Programme. At the event the Minister for Children & Youth Affairs Dr James Reilly TD said: ‘Louth is one of 13 Areas across Ireland in the ABC Programme that are adopting an area-based approach to address child poverty through delivering high quality, coordinated services to improve outcomes for children and families. I am delighted to launch The Genesis Programme in Louth which delivers on the government commitment to prevention and early intervention and draws on best international practice and existing service provision. This will bring benefits to children, parents and the wider community and make a significant contribution to breaking the cycle of disadvantage. 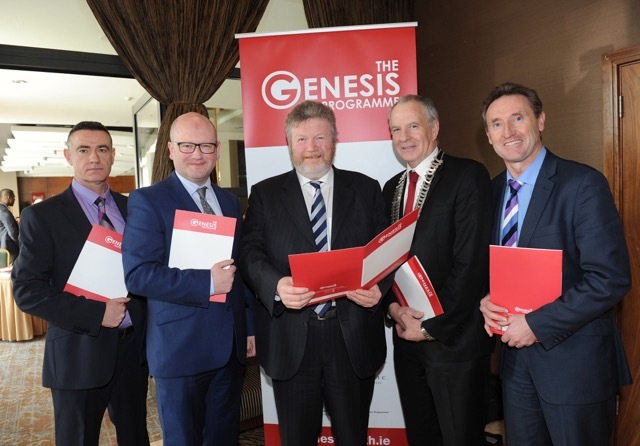 “The Genesis Programme – which has over 50 Partner Organisations – will deliver the Incredible Years suite of programmes to children, families and communities in areas of entrenched disadvantage in Dundalk and Drogheda. These programmes promote and enhance children’s social, emotional and cognitive wellbeing from pre-birth to six years of age. The Vision is to measurably improve the well-being and development outcomes for children aged pre-birth to six years of age in the targeted areas by implementing The Incredible Years suite of programmes with fidelity using an agreed area based approach. We are very excited about the project and stay tuned for updates in the future! In November 2013 the Minister for Children and Youth Affairs in Ireland announced a new initiative to support children and their families. The Genesis Programme was selected to participate in the Area Based Childhood (ABC) programme. Fifty proposals were submitted and in June 2014 The Genesis Programme (which has over 50 Partner Organizations) was selected. They will deliver the suite of Incredible Years Parent, Teacher and Child programs to children and families in the areas of entrenched disadvantage in Dundalk and Drogheda. They are using these programs to promote and enhance children’s social, emotional and cognitive wellbeing from pre-birth to six years of age. The programme is officially launched by the current Minister for Children and Youth Affairs, Dr. James Reilly TD on Monday March 2nd, 2015. Wally Problem Solver sends them a video message from Seattle to congratulate them on being selected. 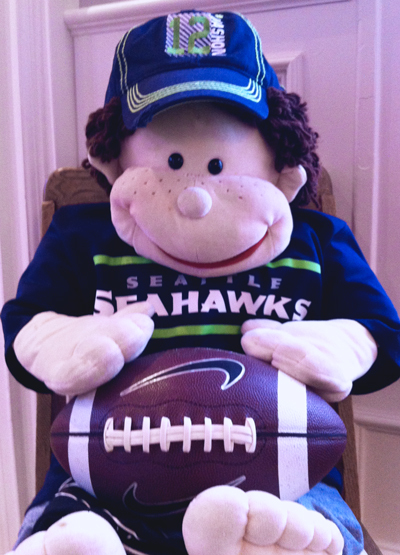 This is helping Wally get over his sadness because of Seattle Seahawks recently losing the US Superbowl.